This is a birthday card for my dad. His birthday is my due date!!! But i'll be having the baby the week before if I get that far. 6 days before my dads birthday it's my birthday so I might have the present of a baby for it. Exciting! I really like this card. Simple, cute and perfect for a male. I'm going to do my partners like this too. 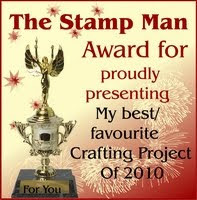 I cut the shape with my silhouette so hopefully I am ok to enter this for C.R.A.F.T their theme is die cuts. I think I should be ok to enter this for Cupcake Craft challenge. Their theme is things you find at the farm and the image is a mouse! and finally I am entering this at Papertake with their theme Anything goes and Totally gorjuss with their Them of something I like! When I am not busy, I am very very tired! Baby is due in 6 weeks and I have so much to do still. It is Some Odd Girl's 1 year Anniversary and they are having a week of celebrations! Me and Morgan have been busy today colouring and crafting for the events. We have been working on The kids challenge. I have also been working on 1 digi 3 ways which will be in this post too. For the kids challenge, I printed out 2 SOG digis and gave them to Morgan to use his "sensels" (pencils lol) on. Morgan is 2 and a half and adores colouring, and painting and playdoh! I didn't feel brave enough to get the paints out today as I wanted to do some crafting too. We were doing this for at least 2 hours! Excuse his terrible messy hair and not being dressed lol!!! We are having a lazy Friday! This is rare. Morgan saying cheese! He never smiles for the camera, he must really like SOG images!!! While Morgan was happily colouring, I was working on Lee's Valentines card. 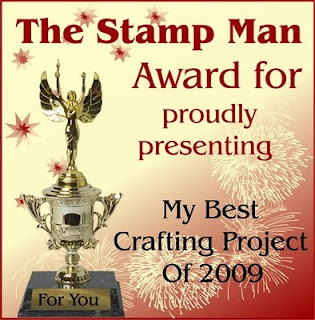 Yesterday I recieved a prize I won from sir stampalot's blog hop, a Martha Stewart punch around the page punch. It's so fun!!!!!! I had to use it today of course. I've never used one before so the paper size was something I didn't know and the paper size was wrong. I eventually worked it out and realised the paper was too big lol! So I decided on a wall hanging type of thing (it'll go on the fire) instead of a card which gave me the most fantastic idea which you will see at the end!! Here is the hanger. Lee isn't a romantic kind of person. We are both not really into all that sappy love stuff so Spike (which is Lee's nickname too!) had to be used! I of course had to add some hearts... It IS a valentines card after all. I cut out the white heart with my Silhouette and stamped 'Happy Valentines Day' over and over it. It looked too plain just being stamped once, and I added some glitter around the heart which is still wet! I thought adding the red paper clip thing would look cool too. and the ribbon was added so that there was something else green! I then printed another digi of Spike onto the envelope and used the heart cut out the silhouette had made to sponge a heart on the envelope. For the third use of the digi I had a fantastic idea, I took Morgans finished Spike and put it on the back of the hanger!! I'm very impressed with myself for thinking of doing this. So I used it 4 different ways! I have been busy. But not with paper! I did finally sit down and make a card. I was going to make Lee's valentines card but he was in the room at the time so I just made a card I can put with others and use when needed. I love how it turned out. Nice and simple I think! I have a lot of this orange card that I never use because it is so thick! It is so hard to cut and score but it is really nice, has a nice marble like pattern on it and I wanted to use it. I have used some glitter on the deers eyes and little nails but it's hard to see and I coloured her with my promarkers. I love Promarkers - Keep it simple. Paper Sundaes - Choose a past challenge. I've chosen Challenge #49. Cut it out. I cut the image! Phew, quite a few challenges today! Yay I finally used the new dp I bought at the weekend. It's My mind's eye paper. I love it, it's lovely and was half price! Simon says stamp - Sketch. 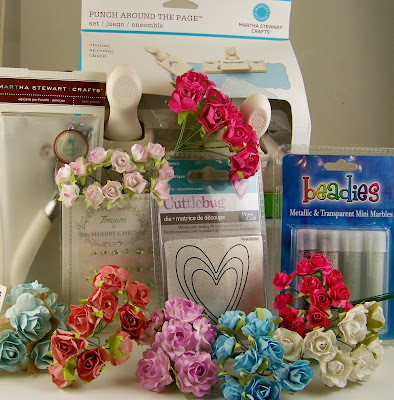 Pollycraft - New things. Mine is paper. Cupcake craft - Something New. My paper. Incy Wincy Designs - Dots. I've made this card for Lee's sister. I really really like it! Nice and Spring like. I woke up to the sunshine today which was such a lovely feeling so this goes well with the mood I was in. I printed the sentiment onto the dp and was very impressed that it worked as i've never done it before. I was planning on using a image but then wanted to just use this dp. Cute card Thursday - Use something old. The DP is old, so is the ribbon, the butterfly and gems! I made this card for my partner Lee's Nana. Her birthday isn't untill February but I'm sure i'll be like a headless chicken getting everything ready for when the baby arrives in March... I made a list of what needs doing a few days ago and I am still not doing anything... I'd much rather craft than clean and sort things out! Next time I make a card from a white card i'll photograph it with a coloured background, you can't see the white much. I'm not sure if this will qualify for Cupcake Craft Challenges. The theme is White. I did make this with the intention of showing more white, but I thought the green and pink went together soooo well, I got a bit carried away!